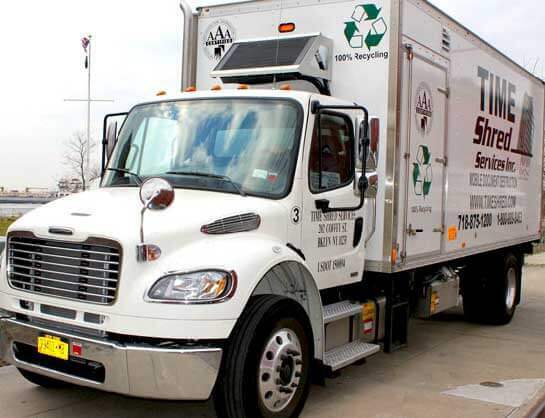 Time Shred Services has a fleet of state-of-the-art, mobile paper shredding trucks that make quick work of any paper shredding project. Our document destruction trucks allow us to bring professional shredding services conveniently to our customer’s locations. Each of our tucks is equipped with an industrial shredder that is a cross cut shredder. Cross cut means that your documents go through a series of blades that cut your files in multiple directions turning your documents in to small unreadable particles of paper. Our shredders are so strong they will destroy paper clips, staples, rubber band, binder clips, file fasteners, books, redwells, file folders and just about anything that is paper in your home or office. Our trucks can destroy 6,000 pounds of paper per hour. That is lightning fast compared to a personal or in office shredder that you have to feed just a few sheets of paper at a time. We can shred in minutes what would take you days or weeks to complete with a small personal shredder. All of our paper shredding trucks is equipped with a camera system that has a viewing station on the side of the truck with a monitor that will allow you to see your confidential papers going through the shredder. What could be more reassuring than you being able to witness your files being shredded as it happens. Once your documents are released to our driver they are placed into a shredding bin that is locked to keep your files secure. Once they are in the bin they are never seen or touched again until they have been shredded. Our trucks have an automated “No Touch” system that will lift the bin into the truck and empty your documents directly in to the shredder and they are completely destroyed. You’ll know when one of our document shredding trucks arrives at your location. All of our trucks are easy to identify because we boldly display our name, phone number, website and what services we perform. We do this because we want our customers to be at ease when a truck they recognize pulls up to their location. Our trucks are inspected and certified by NAID, The National Association of Information Destruction. 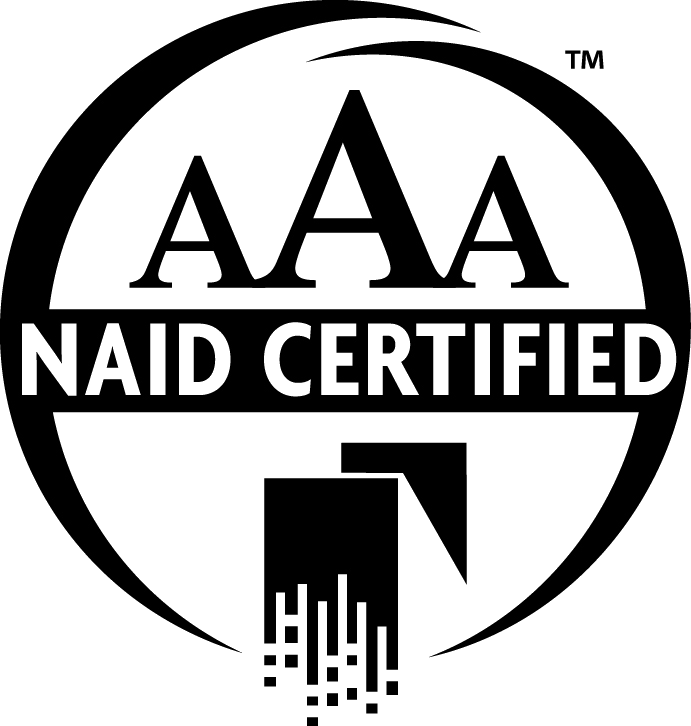 NAID is the national trade association that sets the standards for the document shredding industry. Our shredding trucks exceed the high standards for security and paper particle size set by NAID. When you need shredding services you have the option to have one of the most advanced document destruction trucks available in the industry come to your home or office to destroy your confidential files if you call Time Shred Services.